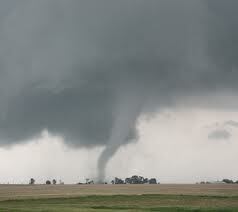 A storm system that swept across the country on Sunday triggered numerous tornadoes that flattened most of a town in Illinois and killed six people across the Midwest. The tornadoes tore apart and flattened hundreds of homes and wiped out complete neighborhoods. There were reports of nearly 80 tornadoes as well as more than 350 of damaging winds and 40 that complained of large hail. In the two major airports in Chicago – O’Hare and Midway – traffic was stopped for a brief period, while power was lost by thousands across several states. Early on Monday three people had been reported killed in Massac County, two others in Washington County and one more in Tazewell County. The storms on Sunday were unusual for this late in the season and were moving at an alarmingly fast pace tracking eastward at more than 60 miles per hour. The bulk of damage from the storms spanned a period of five hours, said the Weather service. Damaging winds continued later into both New York and Pennsylvania. Washington a small town in southern Illinois about 145 miles from Chicago was devastated as tornadoes ripped apart the structures in the town. Tornadoes were reported in Indiana, Illinois, Ohio and Kentucky. In Peoria, hundreds of the city’s homes were destroyed while one person lost their life and 31 more had to be treated for varying injuries. Two people, one man 80 and his sister 78, were killed in Washington County, which is 200 miles from Peoria. On the border with Kentucky in Massac County, three people were killed said emergency officials. In Tazewell County, reports came in that homes were flattened and roofs had been flying across neighborhoods. Illinois law enforcement and rescue personnel feared that people were trapped in the basements of their homes under piles of debris. The tornado that devastated the town of Washington was spawned by a fast moving system originally headed for Chicago, which forced the NFL to delay its game at Soldier Field for two hours.